Long zoom out from a mountain lake to a huge California forest. 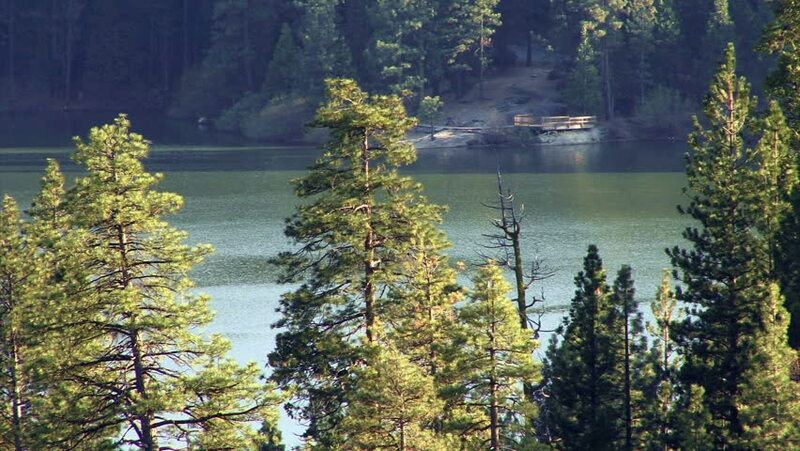 hd00:45Pine trees in a forest edge a mountain lake with a dock. 4k00:15Kumo-jo-chi, Japan - Nov 16, 2015 : pond near six this Tsuji of Nagano Prefecture Kitasaku-gun Karuizawa. Is called "Omizubata" is local, also have nicknamed "Swan Lake".